CEDAR HILL—Trademark Property Co., the operating partner for Hillside Village, has announced that F21 RED, a new concept store by Forever 21, will open a 17,484-square-foot location at the shopping center in late 2016. Launched by Forever 21 in 2014, the F21 RED concept is intended to create an easy shopping experience for the entire family with an assortment of fashion basics from each of the Forever 21 lines. 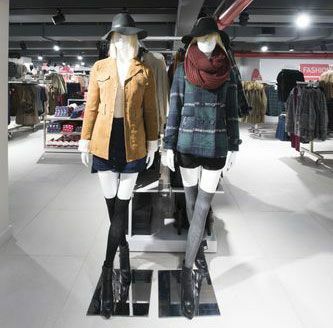 With a revised store design and a big focus on product assortment, F21 RED carries fashion staples from Forever 21, Forever 21 Men, Forever 21 Plus and Forever 21 Kids. Other new tenants at Hillside Village include Menchie’s, Hot Topic and Claire’s. In addition, Grimaldi’s Pizzeria will open this fall. Hillside Village recently completed a multi-million dollar property renovation and re-brand, which includes a new children’s play area, Village Green promenade extension with bocce ball court, new property signage, new shaded seating areas, upgraded landscaping and lighting, public art, façade renovations and free public Wi-Fi. Hillside Village is located one mile west of US Highway 67 and Pleasant Run Road in Cedar Hill.